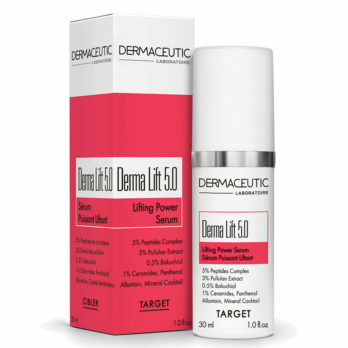 Immediate lift effect combined with long-term peptide skin-boosting effect. 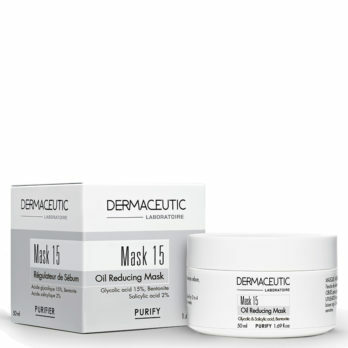 Lifts skin’s appearance for long-lasting, younger-looking skin. 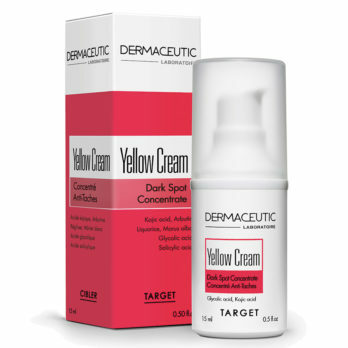 Yellow Cream reduces dark spots and uneven skin tone. Prepare your skin for every season with our exclusive Dermaceutic Promotion. 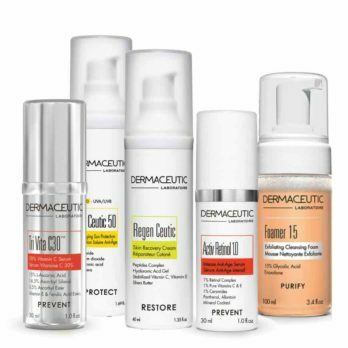 Save R 350.00 when you purchase the five-pack value added bundle pack from Dermaceutic which consists of the ever-popular Tri Vita C30, the anti-ageing Activ Retinol 1.0% serum, Sun Ceutic, and Regen Ceutic with your choice of either the Foamer 5 or the Foamer 15. 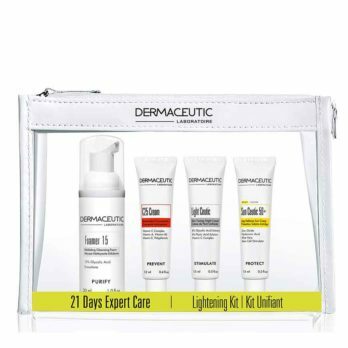 The Dermaceutic Hyperpigmentation Value Pack contains three products that are all indicated to improve and reduce the appearance of dark hyperpigmented skin marks and blemishes. Get a glowing healthy looking skin with this combination of retinol, vitamin C and alphahydroxy acids. The unique combination of smectic clay and glycolic acid purifies and removes imperfections from the skin, tightens pores and reduces excess sebum. 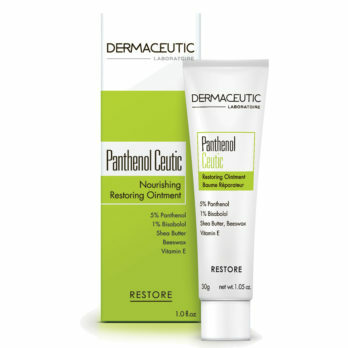 Dermaceutic Panthenol Ceutic Cream restores skin comfort following cosmetic procedures such as Dermapen MD or Needling and superficial chemical peels and it can also be applied to open wounds. It is especially recommended for sensitive, dry or reactive skins such as eczema due to its calming and hydrating properties. It can be used on the face and lips, heels and even dry sensitive elbows. is recommended for sensitive and/or very dry skin. 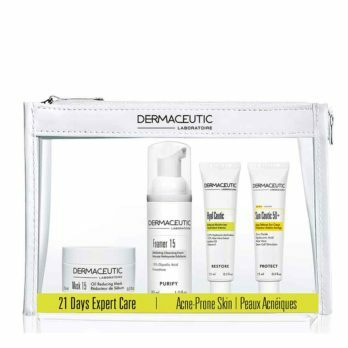 The Dermaceutic Fine Lines and Wrinkles Value Pack consists of three products that are both targeted to improve fine lines and wrinkles. With the combination of Vitamin C and Retinol one will not only see an improvement in fine lines and wrinkles but also an increased collagen and elastin production, reduction of pores, improvement of skin texture, redcution of pigmented skin marks and an overall improvement in skin health. 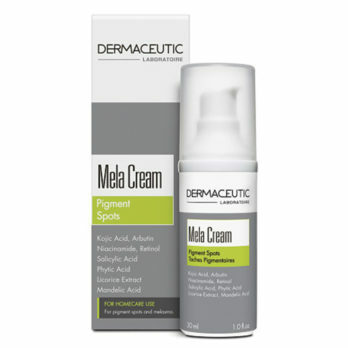 Dermaceutic Mela Cream is specifically indicated for pigment spots, harmonized complexion and even skin tone that contains 9 highly concentrated active ingredients that are targeted to reduce and diminish unwanted hyperpigmentation marks. Lightening Kit is a starter kit or a travel kit that brightens hyperpigmentation, improving skin texture and tone. 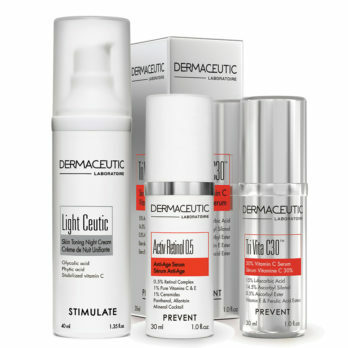 Dr Alek’s Tip: The Lightening kit is a perfect kit to use as an intensive focused hyperpigmentation treatment. Always protect the skin with high SPF 30 or higher that contains zinc oxide and/or titanium dioxide. 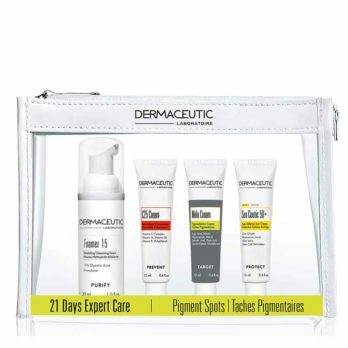 Pigment Spots is a starter kit or a travel kit with four favourite products from Dermaceutic specifically indicated for hyperpigmentation and uneven skin tone. Dr Alek’s Tip: Mela Cream can also be used as a spot treatment. Practice sun avoidance as much as possible to help prevent future sun damage. Always protect the skin with high SPF (30 or higher that contains zinc oxide and/or titanium dioxide) when using active products with acids. Acne Prone Kit is a travel kit or starter kit perfectly suited for acne and blemish-prone skin. 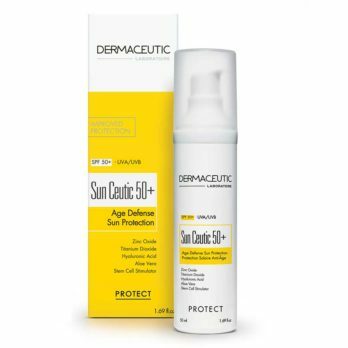 Dr Alek’s Tip: Always protect the skin with high SPF (30 or higher that contains zinc oxide and/or titanium dioxide) when using active products with acids. 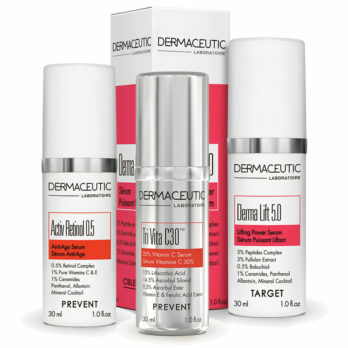 Consider adding Dermaceutic Retinol 0.5 for added benefit.